We have now come to the point where consumers have plenty options when it comes to buying a virtual reality headset. A few years ago, there were developer-only VR kits which only the tech-savvy could hack together for a PC VR experience. Now though, we have polished products like the excellent Oculus Rift and HTC Vive that have made virtual reality available to anyone who wants to jump on the bandwagon. Mind you, these are quite expensive, but that’s because it’s still a relatively new technology and we need some years for it to come down in price. As far as beginner-friendly headsets go, nearly all the headsets available today are primarily plug-and-play affairs. Or so it might seem. And that’s because a headset doesn’t need to be just plug-and-play. It needs to have a gaming ecosystem that supports it for you actually to play games on it. There are some affordable VR headsets for gaming on the market, ones that will cost you just a couple of hundred dollars. And on paper, they do seem quite promising. But the reality is that they’re just pieces of hardware with no software support behind them. Plug them in, and you won’t know the next thing to do with them. Watch a VR movie perhaps? Play a VR game? That’s where your troubles will start with these headsets. If you’re just starting out in virtual reality, your first VR headset will play a decisive role in whether you stick to the technology or not. So we have to make sure it’s the right one. A beginner-friendly headset should be affordable, comfortable and should come with its software ecosystem, so the user doesn’t get lost in looking at tech forums in how to utilize the headset for playing VR games. Keeping that in mind, we’ve assembled a list of the best beginner-friendly VR headsets for PC. The Oculus Rift has been on the market for a while now. And that’s a good thing because Oculus has had time to listen to customer feedback and improve the Rift’s design and features. It’s now a fully mature product that currently has a robust game library behind it. One area where it lagged behind was always the included Xbox controller, which wasn’t very intuitive when it came to gaming in VR. But the Rift now comes with its Touch motion controllers which are excellent. 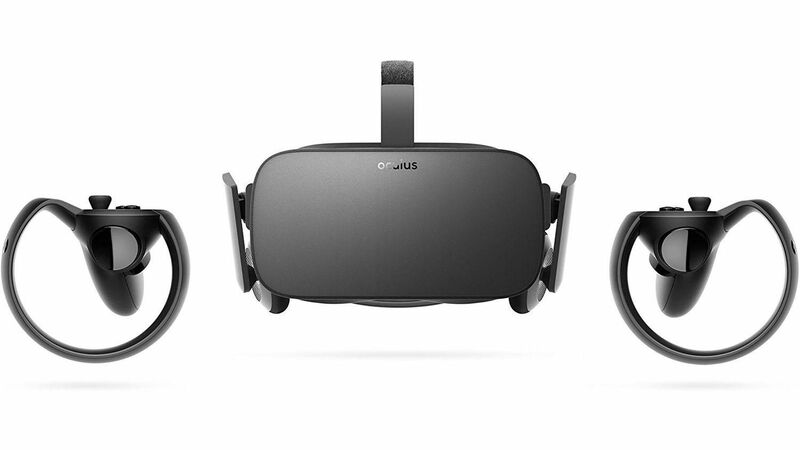 The good news with the Oculus Rift keeps getting better because it is now quite affordable as well. It currently sells for $399, complete with the Touch motion controllers and two sensors in the purchase. The Rift’s direct and only competitor in the PC market, the HTC Vive, sells for $599, which is a lot more to pay for the same experience. To be honest, the $399 price for the Oculus Rift seems a bit suspicious when the Vive is selling for $599 (after a price cut). Either Facebook wasn’t happy with Rift sales, or it’s so desperate to get the first-mover-advantage that it’s selling the Rift at a substantial financial loss. Either way, it works out pretty well for us consumers. As with other tethered headsets, the story doesn’t just end when you’ve purchased the Oculus Rift. You’ll need a pretty strong gaming computer to run it as well. Computers over two years old wouldn’t cut it unless they were the absolute top-of-the-line back then. Driving two 1080×1200 resolution displays is a challenging task even for today’s powerful computer components. A while back the minimum technical requirements for the Oculus Rift called for an Intel Core i5-4590 paired with a Nvidia GTX 970 or AMD Radeon 290. These are high components but fortunately, with the latest release Oculus have managed to bring the system requirements a tier lower as well. You now need an Intel i3-6100 CPU and a less powerful Nvidia GTX 960 GPU to drive the Oculus Rift. Mind you; these are still the absolute minimum requirements for output content to the Rift in a manner that’s deemed playable. We recommend that you step it up to at least a Nvidia GTX 1060 for an enjoyable and immersive VR experience. And once you’ve paired your Oculus Rift with a powerful gaming PC, you can forget about those Gear VRs and PlayStation VR headsets. The Rift is on another level. The graphical capability of powerful computers is far superior to smartphones and even the PlayStation 4. As a result, the Oculus Rift delivers a top-notch VR experience that is enhanced by the intuitive Touch motion controllers. This is the absolute bleeding edge in consumer VR technology. Besides being technologically advanced, the Oculus Rift is also thoughtfully designed. Hold it, and you won’t believe how light it is. The headset is sufficiently padded, so you won’t feel it digging into your head. It’s a comfortable experience as far as VR headsets go. The HTC Vive headset is the only real direct competitor that the Oculus Rift has. Until recently, the Vive surpassed the Rift in providing an immersive VR experience. Its own set of motion controllers and unique “room-wide VR” were the core advantages over its rival. But that’s not the case anymore. The Rift has caught up with the Vive and what’s more, it’s cheaper and has its Touch motion controllers as well. With the Vive VR outgunned by the Rift regarding price, you’d think that the Vive was all but done for. However, that’s still not entirely true. For the majority of users, we’d agree that the Rift will be the only VR headset they’ll need to buy. But the Vive still has some neat tricks up its sleeve. It supports whole-room VR which means you can position yourself anywhere you want inside a 10 square feet area set up by the Vive’s sensors. The Vive is also supported officially by Valve, which means it has the backing of a major games publisher. That said, however, whole-room VR is terribly fiddly in practice because of the tethered nature of this headset. The user is prone to tripping over the wires, and it’s just not an intuitive experience. The Vive costs more than the Rift, and that’s not the end of the story. The Vive also needs a beefier system to run it. While Oculus has recently lowered the minimum specs of the PC required to run the Rift, the Vive still needs a reasonably strong baseline PC to run at acceptable levels. So not only are you spending $200 more on the Vive, but you’ll be paying more for computer components as well. We think that’s a bit of a stretch and that is the reason the Vive comes in second place. It isn’t bad, but it’s just not a smart purchase. Virtual reality is here to stay. With so many companies jumping on the bandwagon and desperately coming up with their VR devices, it certainly seems that VR is going to become an integral part of the modern entertainment. That said, there are surprisingly few options when it comes to quality VR headsets. That perhaps speaks of the complexity of the technology and might explain why Microsoft refuses to bring VR to the Xbox One X. Regardless of the shortage of options, we think the currently available Oculus Rift and HTC Vive are both excellent devices to experience virtual reality. Those are the best beginner-friendly VR headsets that provide an excellent experience that will get you hooked and show you what VR is really about. 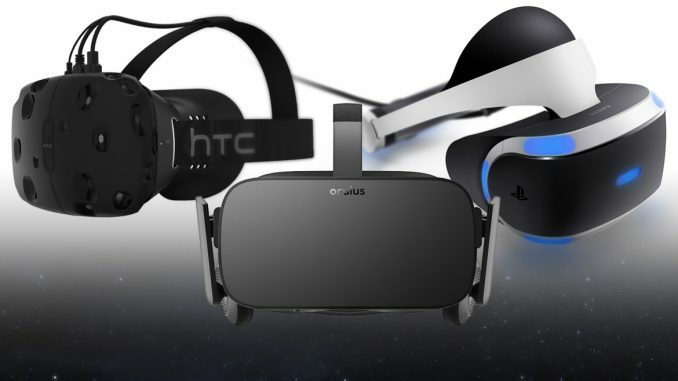 Check our guide to the most promising VR headsets available today for more advanced options.